Ready for summer vacation? While you’re getting packed and ready, don’t forget to make a plan for plant care while you’re away! 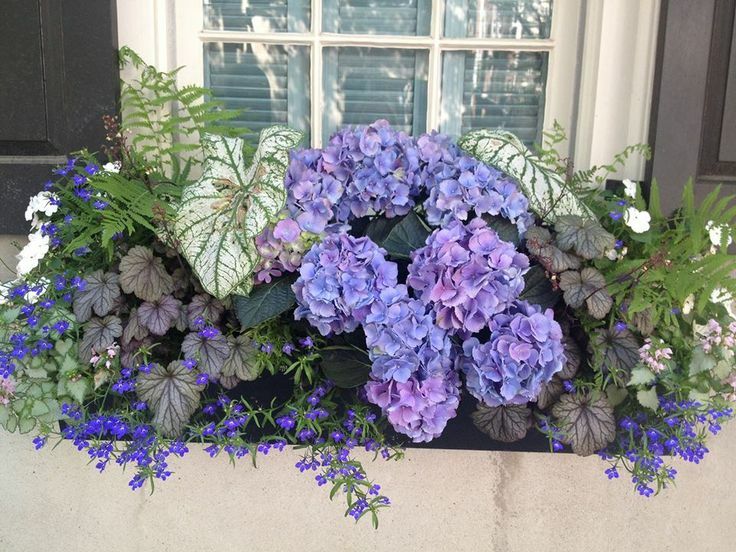 Especially in the hot summer months, when plants (and especially plants in containers) need more water to keep hydrated, is it important to water them regularly. But exactly how do you do this if you’ll be gone a week or more at a time? Here are some ideas. 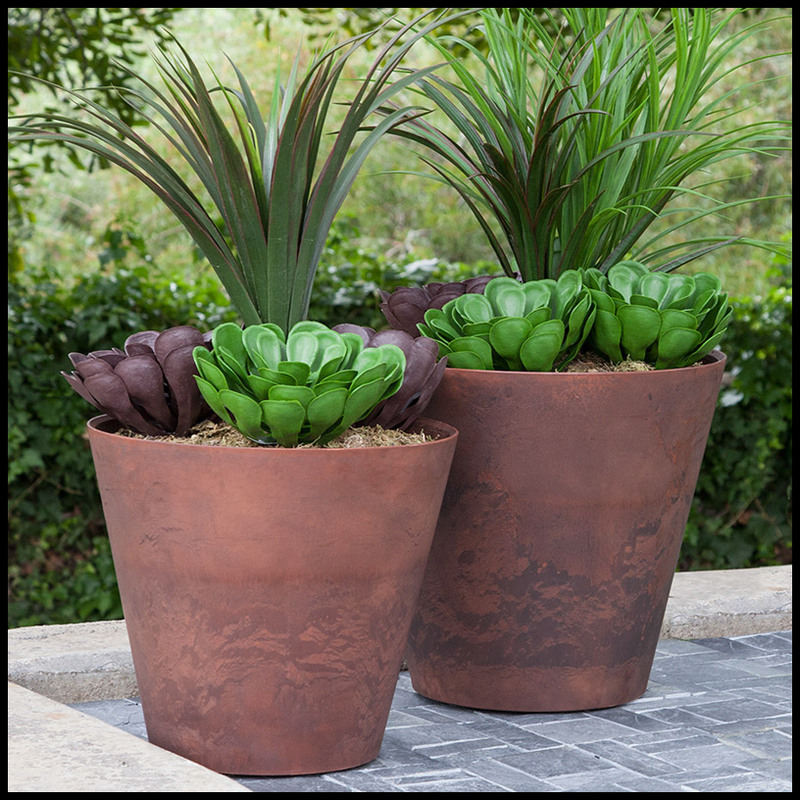 Our round self-watering planter reservoirs can be used in any size or shape planter, providing a steady supply of water to the plant’s roots—where the plant needs it the most! Each reservoir provides water up to 9″ in a radius in every direction from the reservoir’s edge, allowing for an even watering. These reservoirs provide up to 2 weeks of watering, with the larger the reservoir, the more water it can hold. Depending on your planter size and shape, you may wish to use more than one reservoir for your planter. Our square self-watering planter inserts give you a bit more “bang for your buck” water-wise, providing between 2-3 weeks of watering to your plants. These innovative self-watering reservoirs are built with a “water-smart” system that actually regulates the flow of water to our plant’s roots. When sensing that moisture is low, the vacuum-sensor system allows air to pass through a tube in the reservoir, which then allows water to flow into the container and water the plants through a drinking wick. This same technology senses when the soil is wet and blocks the flow of air, preventing watering until the soil begins to dry again. A delicate balance is achieved, keeping plants hydrated while avoiding overwatering and root rot. 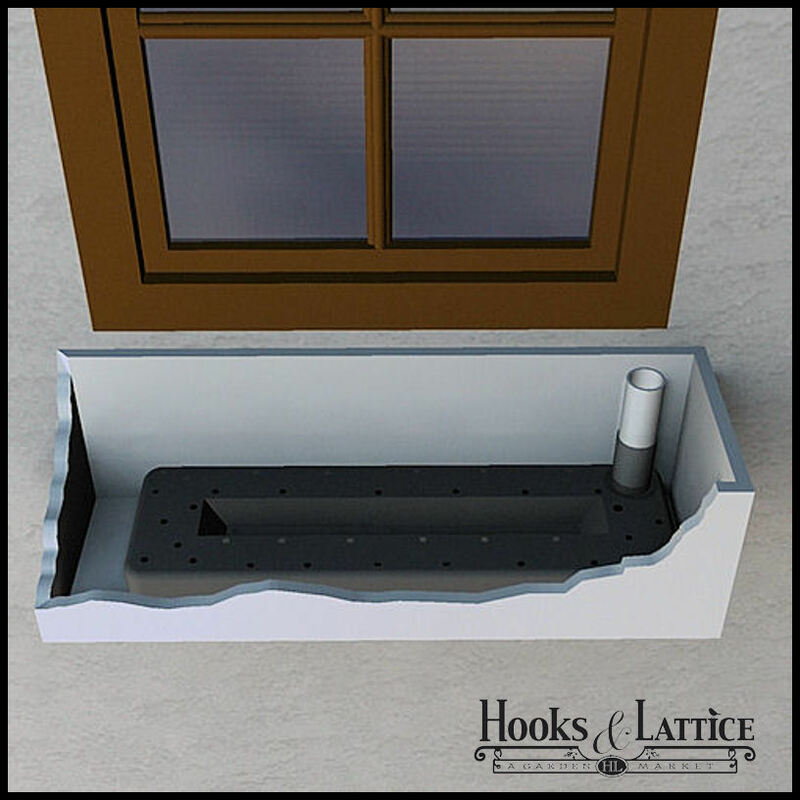 For window boxes and rectangular planters, our window box reservoirs provide an even amount of watering in a 9″ radius of soil from around their edges. And, like all of our water reservoirs, they reduce water waste and promote a healthy root system and plant growth. 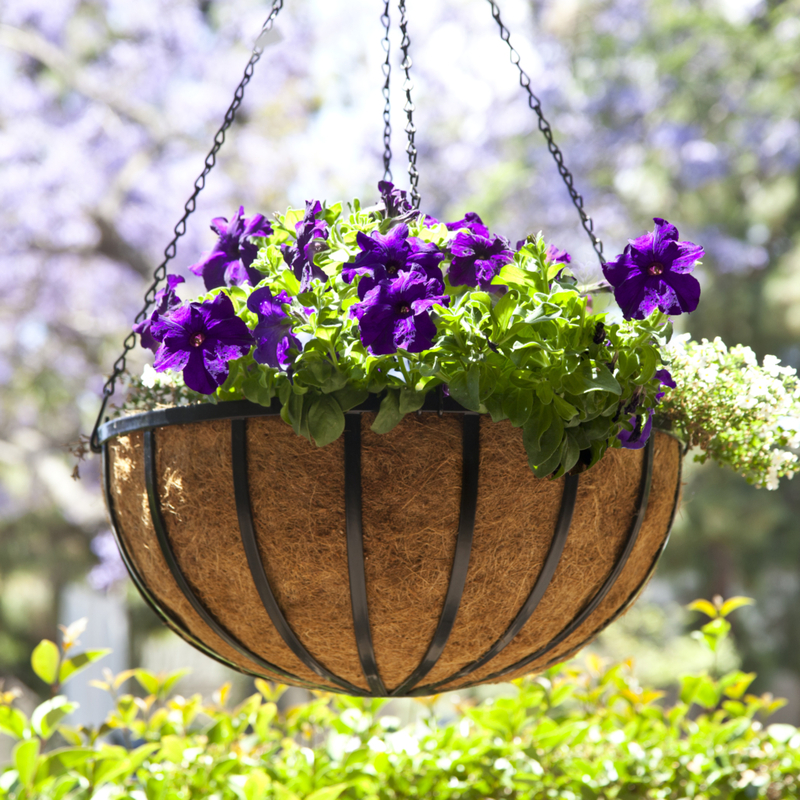 Hanging baskets are notorious for drying out quickly, so water reservoirs are a godsend when it comes to these vertical planters—whether you use them just when on vacation or full time. 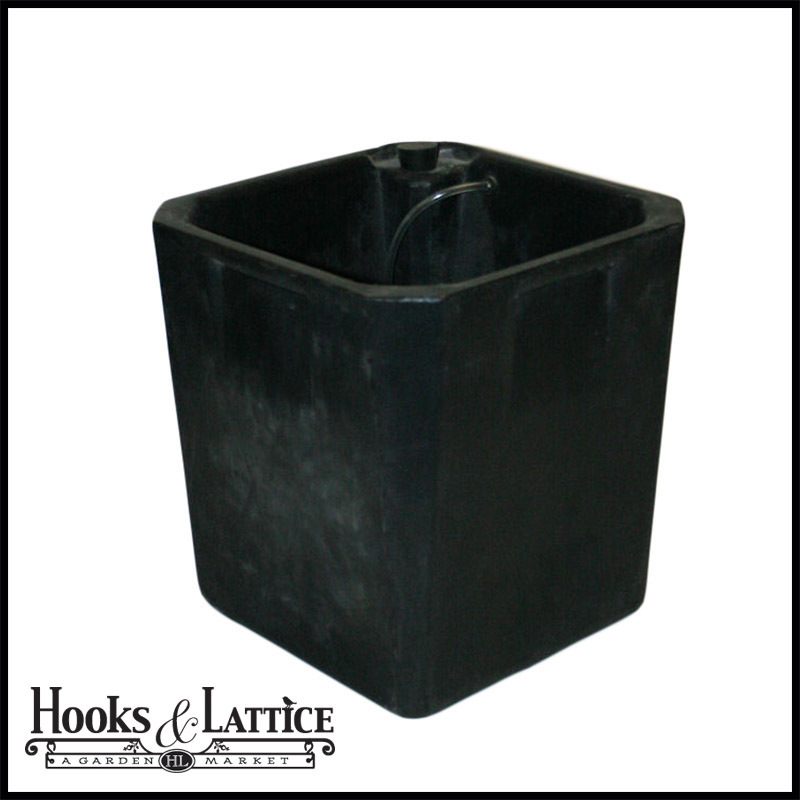 Our hanging basket water reservoirs fit perfectly into standard hanging basket sizes, providing an even and consistent watering, as it water a 9″ radius around the reservoir’s edge. 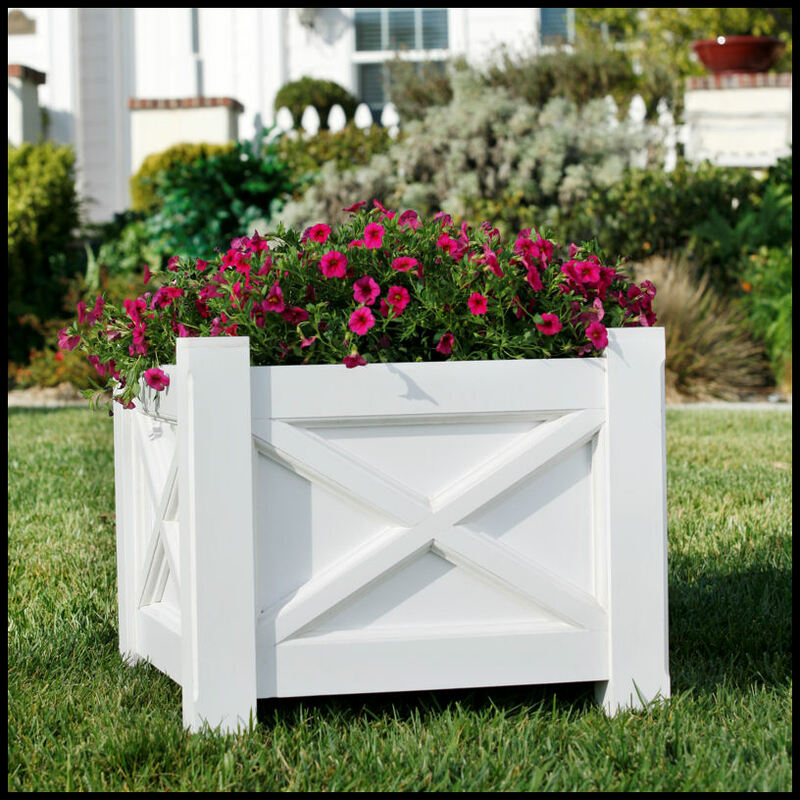 For hanging baskets, you can use either a round planter reservoir or a hanging basket reservoir, depending on your basket size. 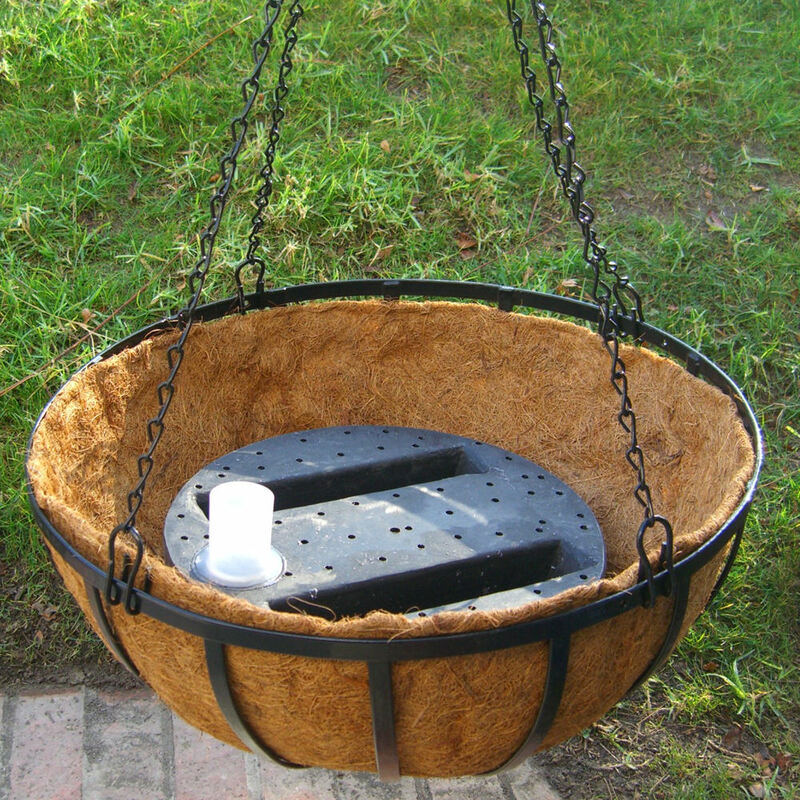 Hanging basket reservoirs are available in 18″ and 22″ sizes. Want more self-watering options? 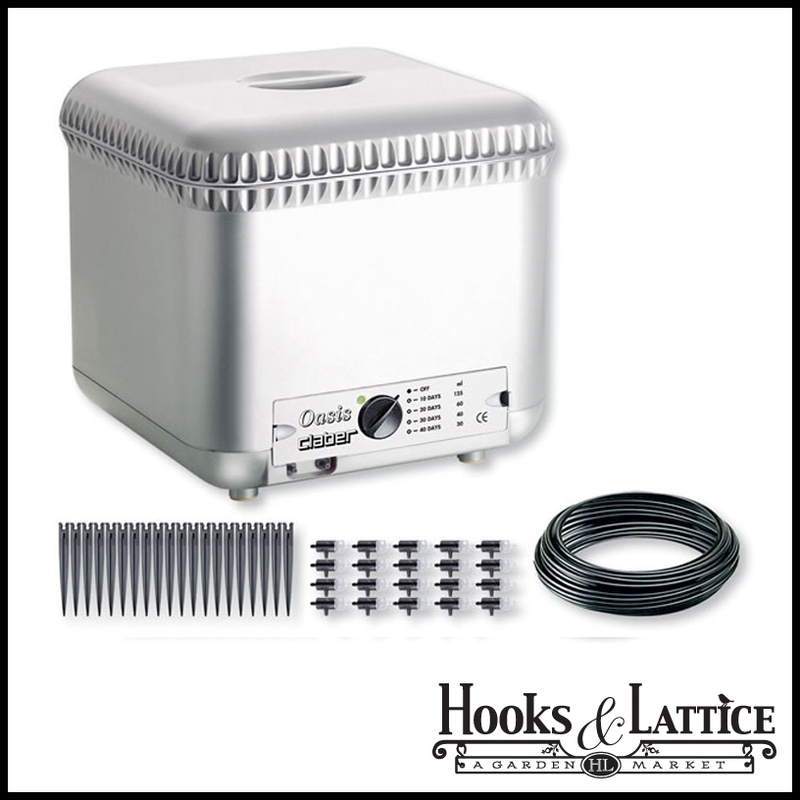 Try a drip irrigation system; our Oasis self-watering kit can be set to water in 10, 20, 30, or 40 day cycles. 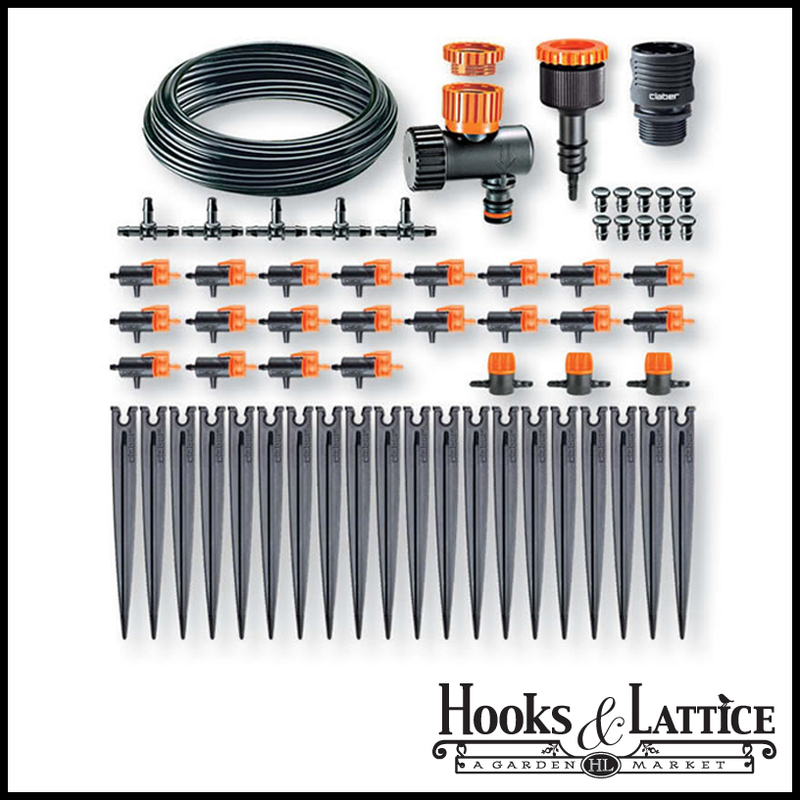 And our basic drip kit is ideal for small patios with potted plants, hanging baskets, and small garden areas. With all of these self-watering options for your plants, you can rest assured that they will be watered and happy when you get back! Which ones will you use in your garden this summer? 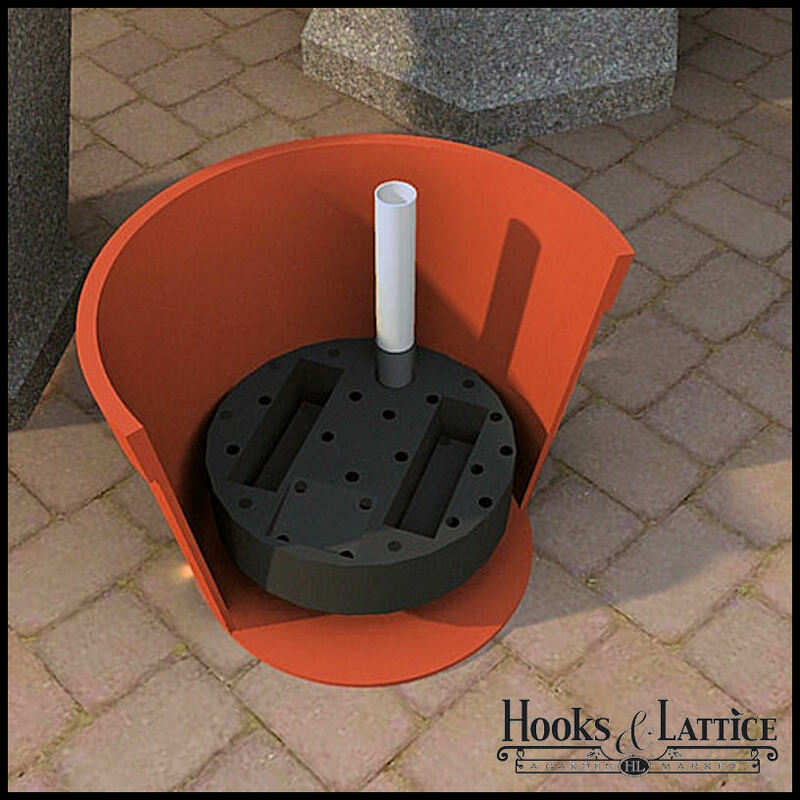 For questions about our self-watering reservoirs and irrigation kits, or to place an order, visit us at www.hooksandlattice.com or call us at 1-800-896-0978.